London—Malyn Newitt, professor emeritus of King’s College London, is the author of more than twenty books, including A Short History of Mozambique, which was published in 2017. He had years of field research experience in Mozambique. A Short History of Mozambique explores the historical origins of Mozambique’s deep structural challenges today. Recently, Newitt shared his insights with Chinese Social Sciences Today (CSST). He believes that research into African development history can provide valuable insights for future economic development and global cooperation. CSST: Could you please briefly introduce your book A Short History of Mozambique? Newitt: A Short History of Mozambique traces the evolution of modern Mozambique, from the colony of the Portuguese to the fifteen-year civil war that followed independence. Though, in 1992, peace was achieved through international mediation, Mozambique’s great recovery has manifested signs of stalling. A Short History of Mozambique sheds light on the historical roots of hampered Mozambican development, for instance, the divisive effects of the slave trade. These regional divisions resurfaced in a civil war after the nationalist guerrillas’ victory against the Portuguese in 1975. Tracing back the history of Mozambique helps us understand how it influences its future and find the path for the future of Mozambique. CSST: In your book, there is one chapter on African agency, would you elaborate more on this concept? 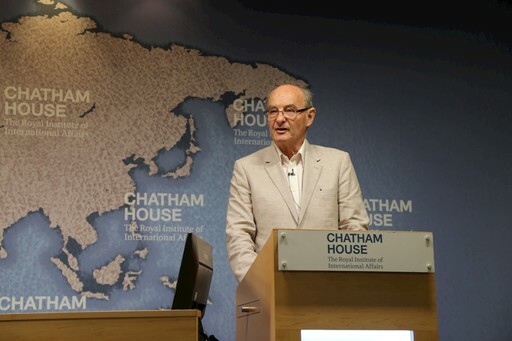 Newitt: A lot of people think that the problems of Africa are due to outside forces, and they don’t take enough account of the way in which Africa itself or Africans manipulate these outside forces for their own interests. Africans have more control over their affairs than sometimes people think. And this is true, at the political level, of African elites who use international aid and relationship with other countries for their own development. This is also true of ordinary Africans who make cultural decisions as to how much foreign technologies and foreign ideas they can absorb. I think it is important to stress this point. CSST: How should people understand the African culture so as to promote international cooperation? Newitt: African culture is very powerful. Policymakers should take into account the cultural factors and the beliefs of the local people. One example of it is Africans’ belief in the power of the spiritual world. These beliefs are very strong. This makes it very difficult for many Africans fully to accept the scientific premises of modern society. Of course, many Africans do accept it. There are very important African scientists. But it is very difficult for ordinary Africans to fully accept the rational of modern science and modern economics. People have to understand how complex this is. These beliefs influence the way in which Africans respond. That’s what I mean by agency—Africans have a very powerful culture. CSST: In September, the Beijing Summit of the Forum on China-Africa Cooperation will be held. What’s your take on the future of China-Africa cooperation? Newitt: China has invested a great deal of important projects in Africa, especially in infrastructure development, bringing great opportunities to Africa. China and Africa enjoy long-term friendship and close cooperation. In Mozambique, China helps build a bridge, connecting Maputo and Catembe, improving local connectivity. We hope China and Africa can achieve sustainably successful cooperation benefitting both sides.